Dublin, 1841. On a cold December morning, a small boy is enticed away from his mother and his throat savagely cut. This could be just one more small, sad death in a city riven by poverty, inequality and political unrest, but this killing causes a public outcry. For it appears the culprit - a feckless student named John Delahunt - is also an informant and in the pay of the authorities at Dublin Castle. And strangely, this young man seems neither to regret what he did nor fear his punishment. Indeed, as he awaits the hangman in his cell in Kilmainham Gaol, John Delahunt decides to tell his story in this, his final, deeply unsettling statement . . .
Based on true events that convulsed Victorian Ireland, The Convictions of John Delahunt is the tragic tale of a man who betrays his family, his friends, his society and, ultimately, himself. Set amidst Dublin's taverns, tenements, courtrooms and alleyways and with a rich, Dickensian cast of characters, this compelling, at times darkly humorous, novel brilliantly evokes a time and a place, and introduces a remarkable new literary voice. In the novel, The Convictions of John Delahunt, author Andrew Hughes takes us deep in the mind of a serial killer. 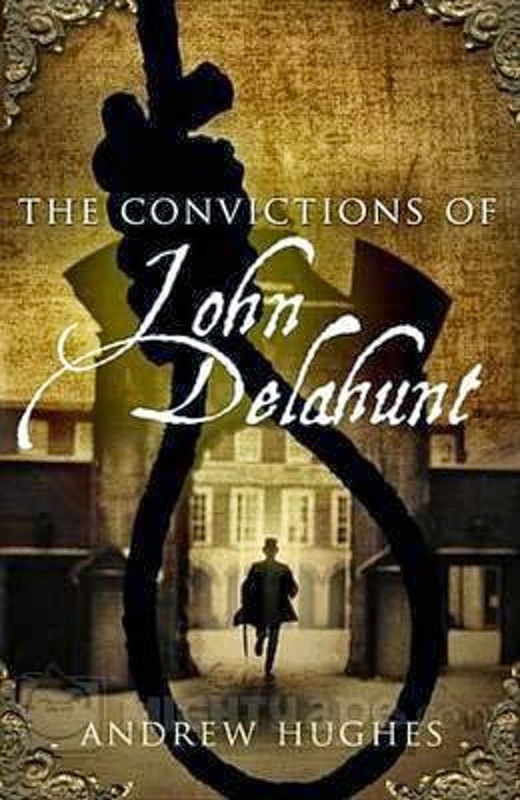 Based on a true story, John Delahunt was a man who was convicted and hanged for the murder of a very young boy in England in the year 1842. He slashed the young boys throat. The story begins while John is in jail awaiting his execution. He is given an opportunity to write about his life and crimes. Through flashbacks, John reflects on his life and his crimes. Married and in love with Helen, a wealthy young woman whose family disowned her for marrying John. They live in poverty, where every day is an ordea. By chance, John becomes an informant and operative for the corrupt Dublin Castle, a semi-law enforcement agency with ruthless and evil tendencies, using extortion, and even murder to achieve their aspirations. As John becomes ever more dependent and involved in his machinations with Dublin Castle, he falls into a life of crime, and becomes a killer without remorse. Although this is a very dark, sinister story about a violent and heartless killer, the character of John isn't completely hateful. His brutality is stark and ruthless, but sometimes he is a victim too, and there are moments when the reader will feel sympathy for the particular plight he finds himself in. The story is not for the faint of heart, but for those who love being thrilled, gripped by an unputdownable book, and who loves reading about the dark side of life, then this is the book for them. This chilling novel is amazing and I loved every page. Simply fabulous.